The Curb Event Center was beyond transformed Thursday night, as anyone entering the entertainment and athletic arena would easily believe they’d been transported to the center of Santa’s village at the North Pole. 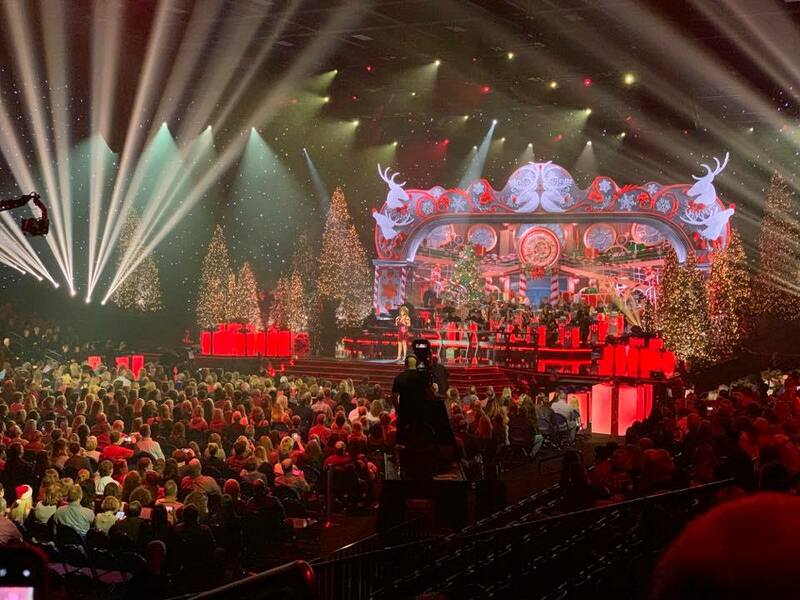 Twinkling lights, 20-foot Christmas trees, an array of wrapped packages and musical legends decked in their holiday finest all adorned the stage for the taping of the annual “CMA Country Christmas” event. Nearly 3,000 fans-including numerous Belmont students and employees–were able to enjoy live performances from host Reba McEntire, Tony Bennett, Diana Krall, Brett Eldredge, Michael W. Smith, Amy Grant, Martina McBride, Old Dominion, Brad Paisley, Lindsey Stirling, The Isaacs, Dustin Lynch, Brett Young and Dan & Shay. Approximately 60 students served as production assistants, talent escorts or seat fillers for this event. The “CMA Country Christmas” show will air nationally on ABC during the holiday season.